This exciting tour begins from the port of Gythion. After a one-hour drive through the wild landscape of olive groves and beyond the bare and rocky landscape of the unconquered Mani, you will reach the majestic Diros Caves. 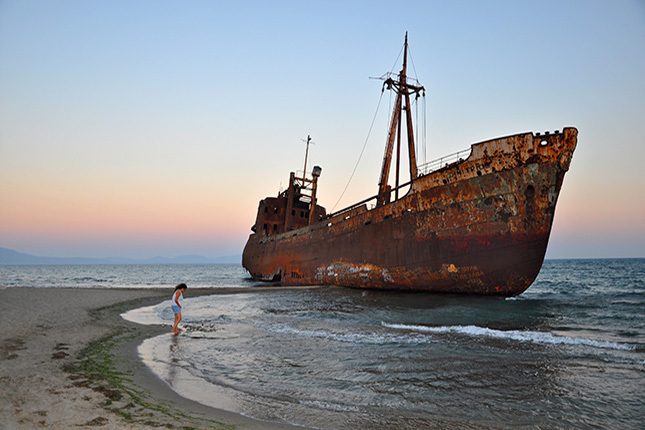 Diros offers visitors spectacular beauty hidden in the depths of the earth. Don't forget to wear comfortable shoes! 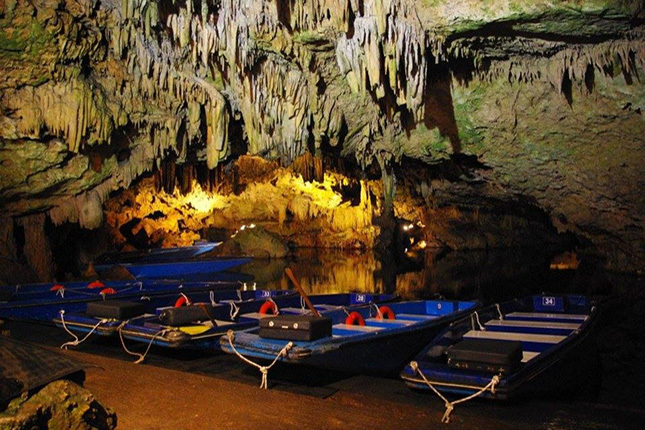 Our visit to the caves lasts 40 minutes; half an hour by boat and a 10-minute walk for the exit. 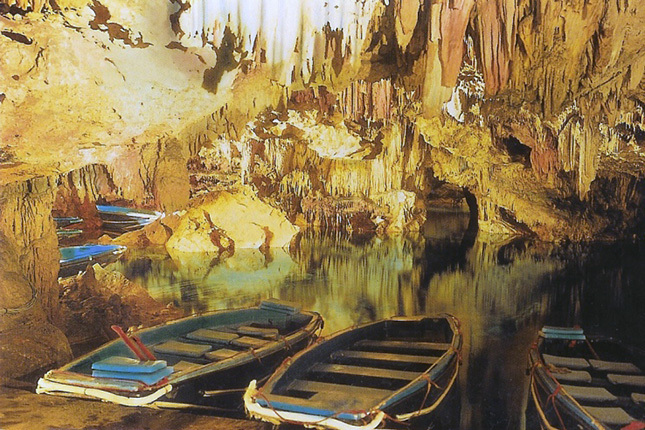 Leaving the sea cave of exquisite beauty, which is considered to be the best of the three most beautiful sea caves in the world, you will visit a few picturesque villages in the area. 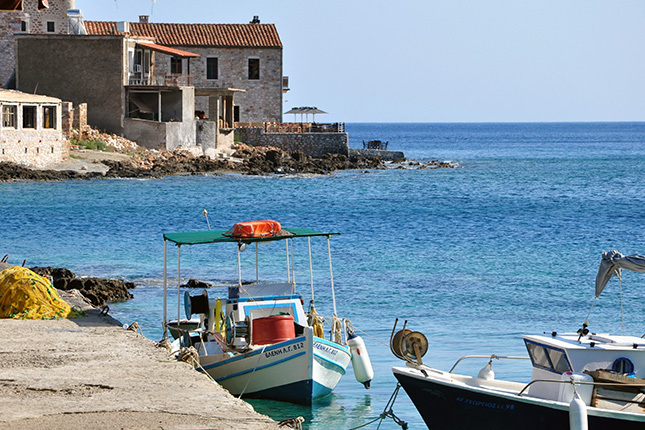 Oitylo is one of the oldest villages (mentioned by Homer) in picturesque Mani. 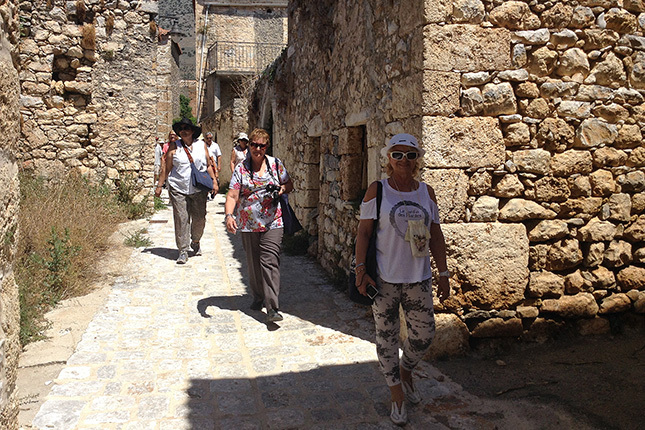 There you will be able to admire the traditional stone houses and the magnificent view of the Gulf of Oitylo. 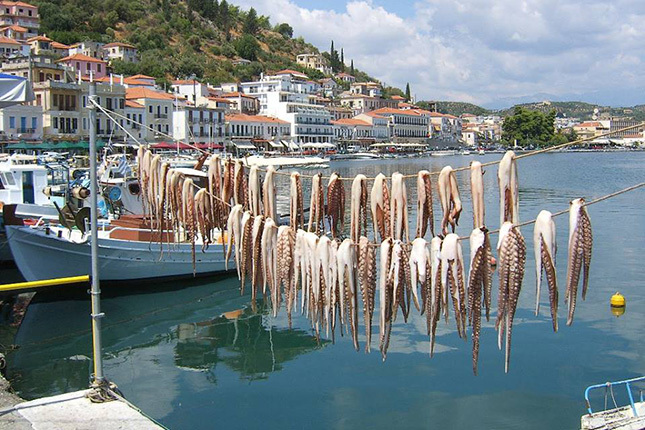 After the visit you will go to another seaside village where you can taste the local cuisine in its traditional tavernas or even swim in the crystal clear sea. Finally you will stop in Areopolis, where you can buy souvenirs and local products before you return to the port of Gythion. 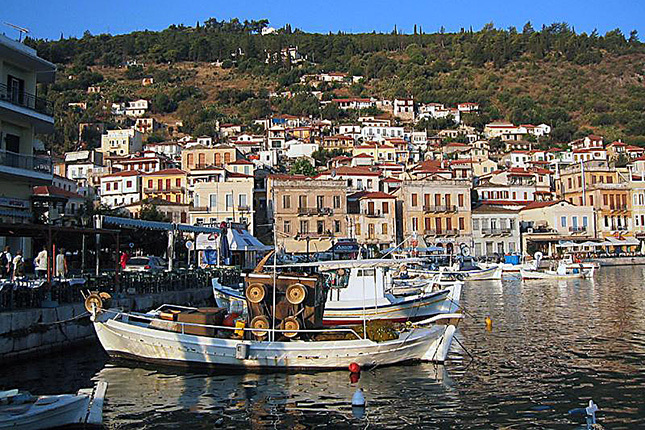 Spend some time at Gythion Port; the most important port in Laconia. 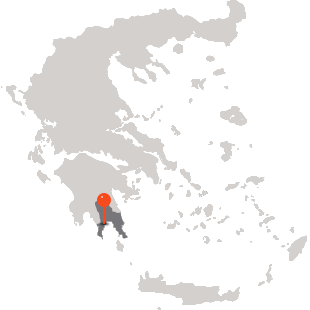 Nowadays a touristic port, however, in ancient times it was the stronghold of King Menelaos and his beautiful wife Helen of Troy. Take a dip in the crystal clear waters of the Laconian Gulf.